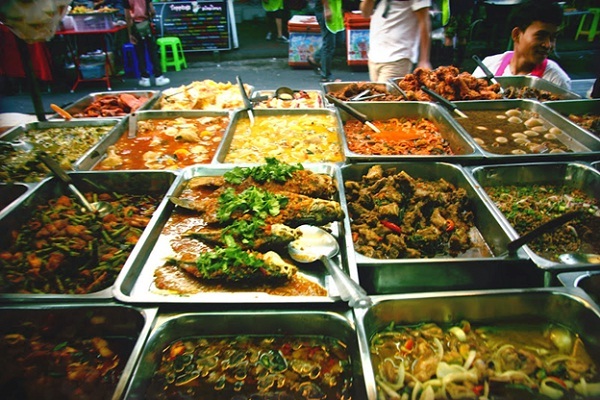 Thailand cuisine attracts tourists because of the diversity. 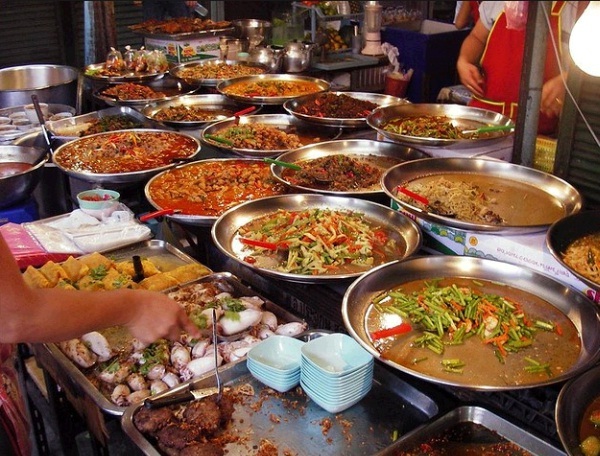 Your taste will be amazed by those delicious cuisines with the lists of food markets in below. 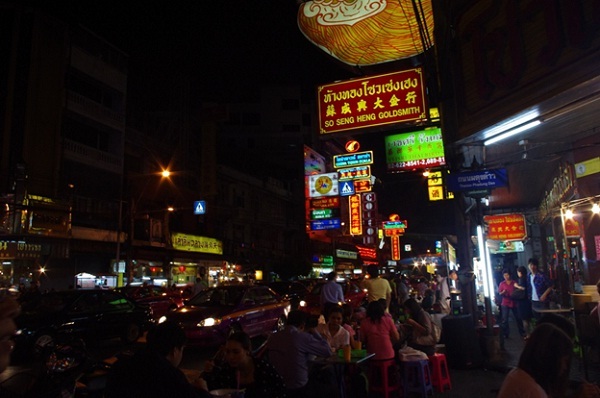 Thepprasit is the largest night market in Pattaya staying in the same road. Here is famous for not only cheap brands such as clothes, handbags, watches, accessories and technologies, etc. 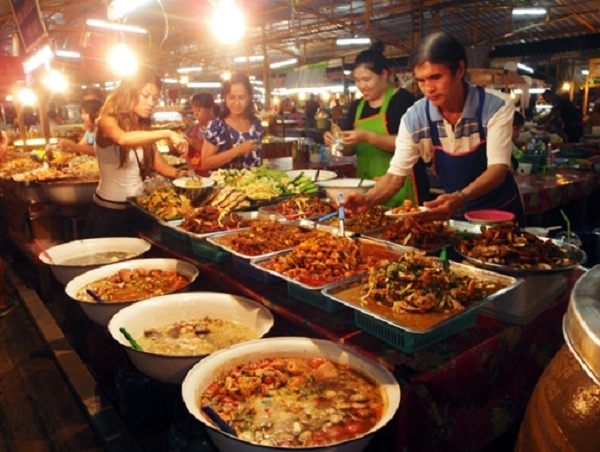 but also food experiences in all the region of Thailand. The dishes are very diverse. This night market also organizes a lot of different traditional music and art shows to bring interesting moments for tourists. It only opens in 3 nights: Friday, Saturday and Sunday, from 5 to 11 pm weekly. It is considered as historical soul of the biggest Thailand Island with the combination of Chinese and Portugal designs and some café. 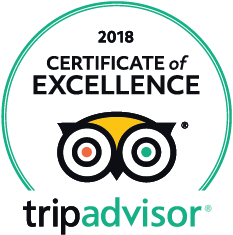 This is a place which visitors could learn more about typical Thailand food culture, from delicious seafood to kanom jeen and Samkong – a famous soy-bean. 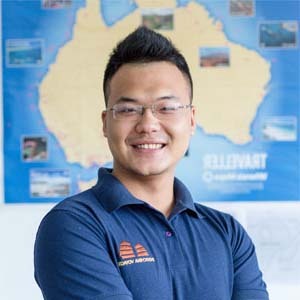 Besides beautiful landscapes and beaches, Thailand also highlights a lot of wonderful markets in every road which are the places to visit in Thailand. Tourists should experience those above markets to experience and discover many lovely things. Khao San known as “Thailand and international food fair” in Bangkok. 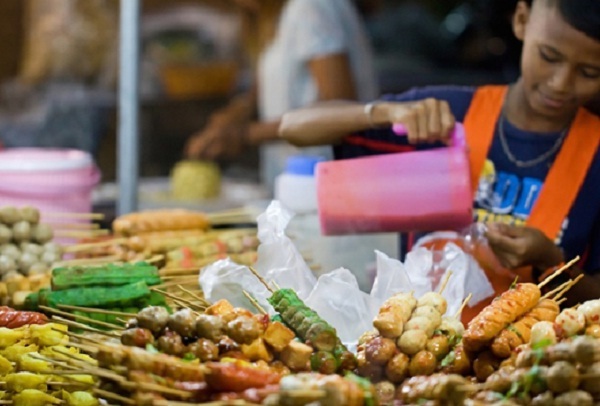 Visitors could find some famous Indian forcemeat ball (falafel), American fast food (Burger King) and khao moo daeng (Thai roast red pork) and ginger soup – a type of famous one in Thailand.